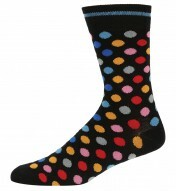 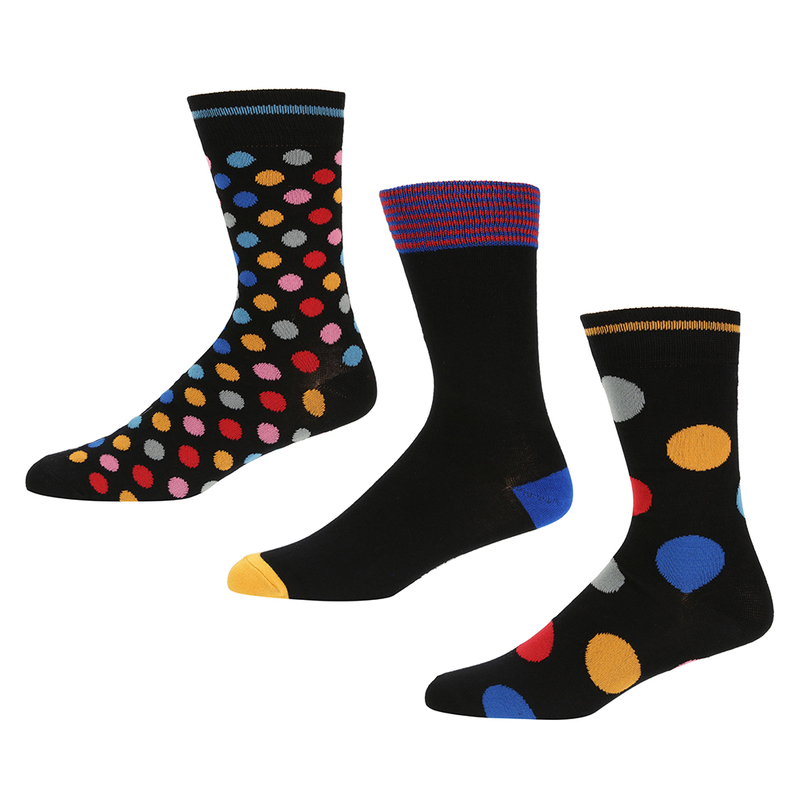 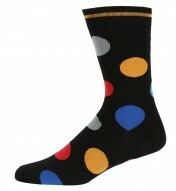 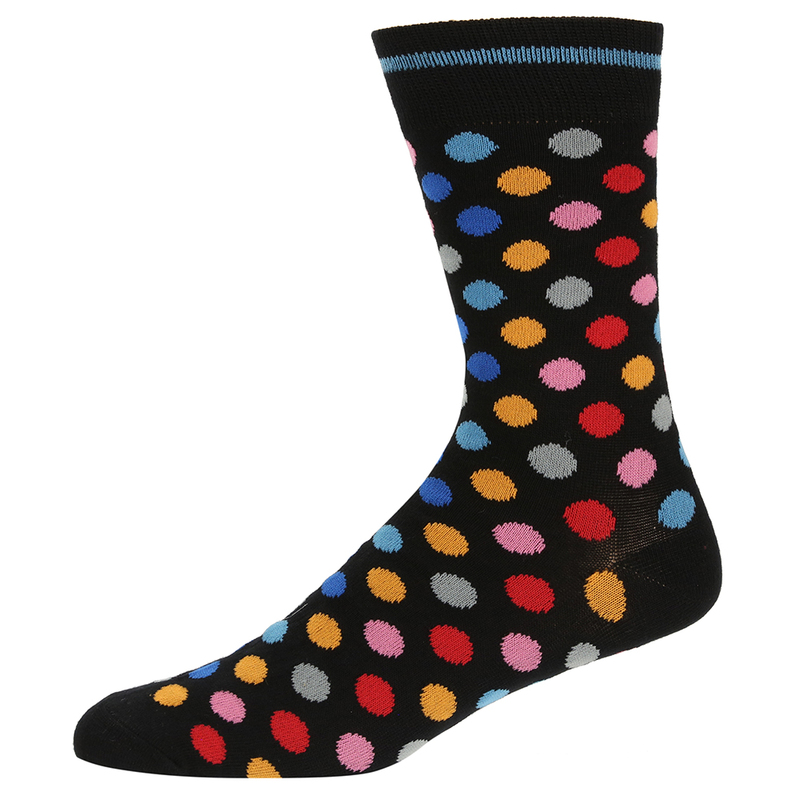 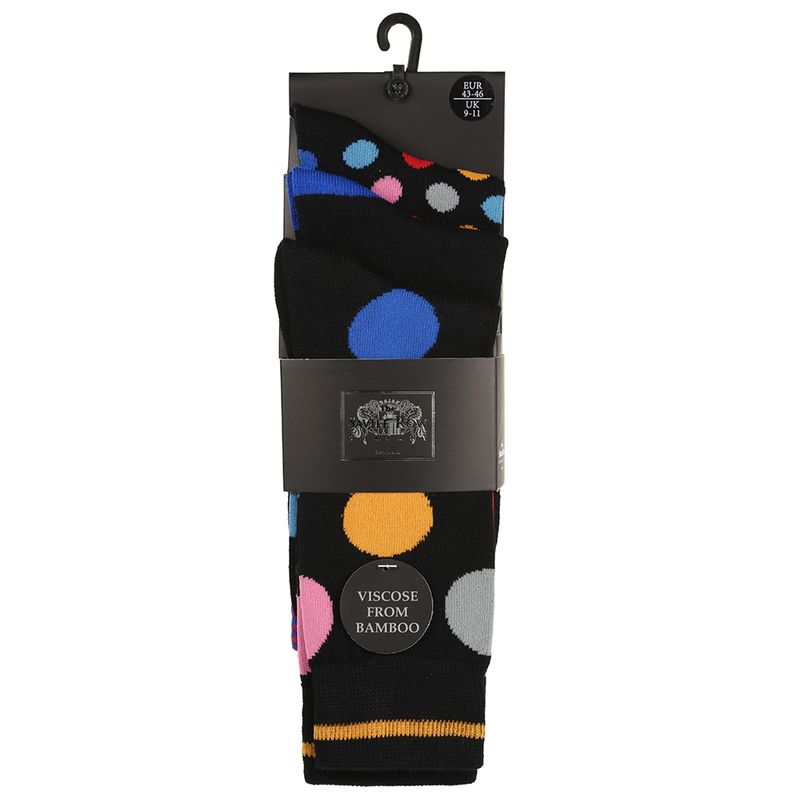 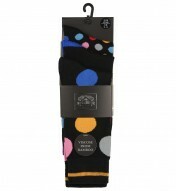 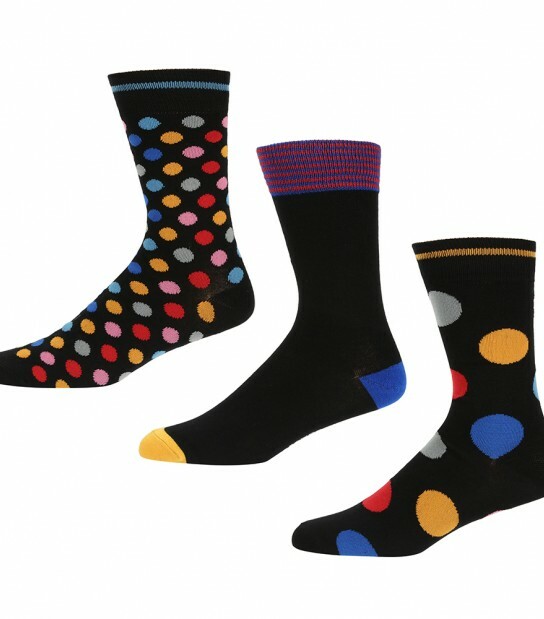 Our Tommy Socks from Savile Row come in a handy 3 pack set which includes Two Spotty Pairs (One with Large Spots, One with Small Spots) in a ray of different colours on a black background and One Plain Black Pair with a Red/Blue Stripey Cuff. 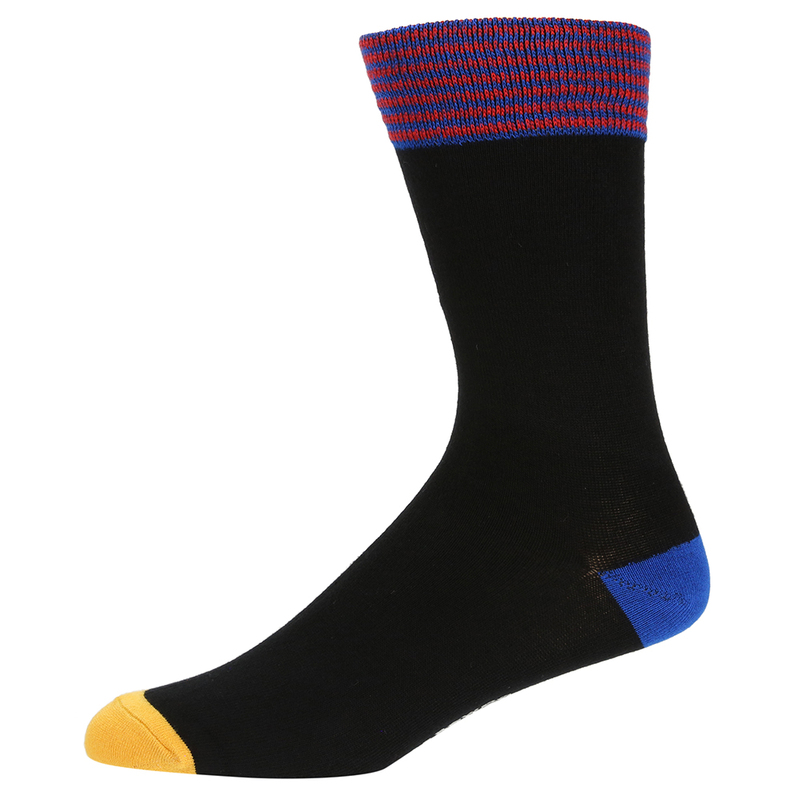 Crafted from a super soft bamboo blend material, these socks will provide you with all day comfort. 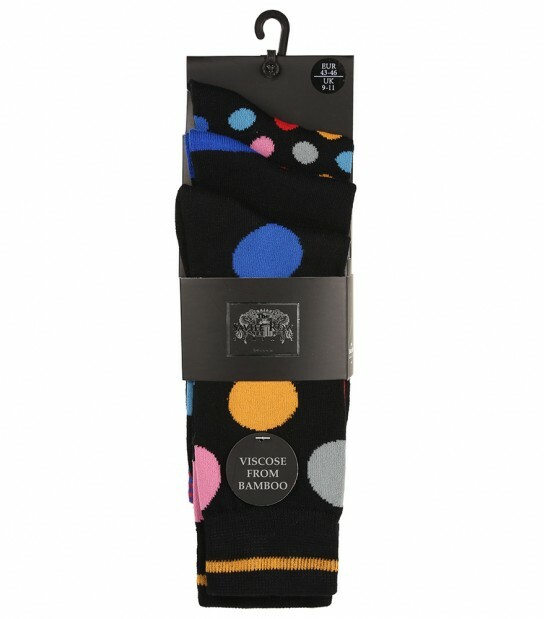 Fibre compositions: Spot: 65% Viscose from Bamboo, 27% Polyester, 6% Polyamide, 2% Elastane. Plain: 75% Viscose from Bamboo, 20% Polyester, 3% Polyamide, 2% Elastane.